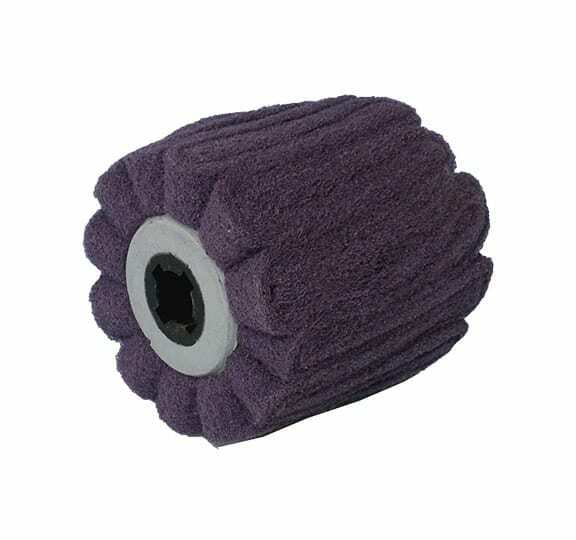 The satin finishing rollers made of non-woven abrasive webs consist of an uninterrupted non-woven abrasive material. The non-woven abrasive webs are wound undulating around a plastic core. 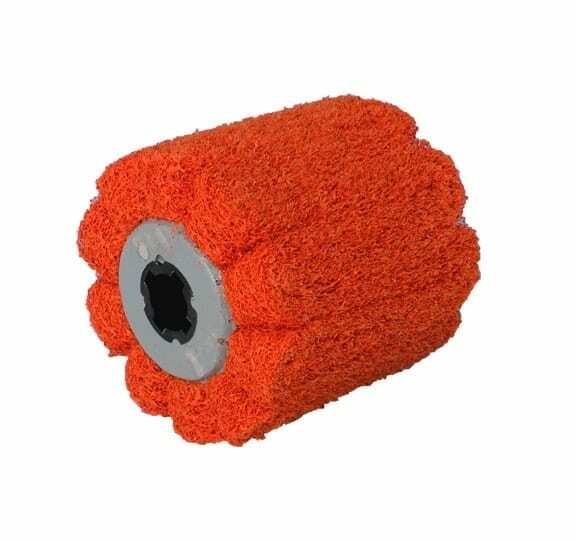 Due to this shaft arrangement, it is possible to coat surfaces without any seams. 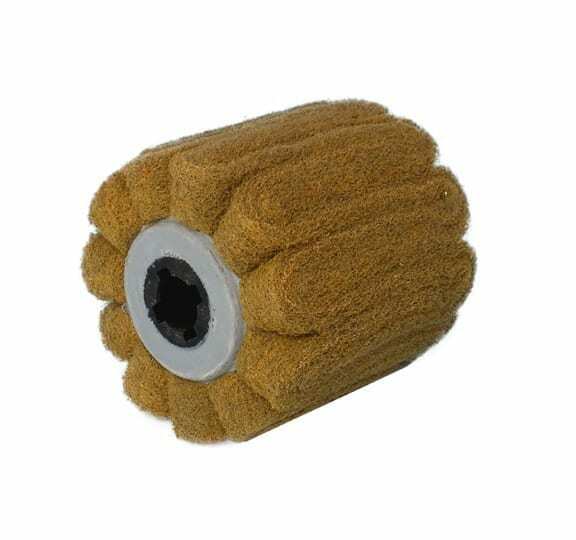 The use of special types of fleece makes the satin finishing roller with abrasive fleece webs elastic, which means that the tool easily adapts to the respective workpiece shapes and workpiece contours. The axis is provided with a bore of 19 mm and keyways for use on hand-guided grinding or satin finishing machines.